John Williams is the most successful film composer of all time - but which ten of his movie soundtracks are the best? 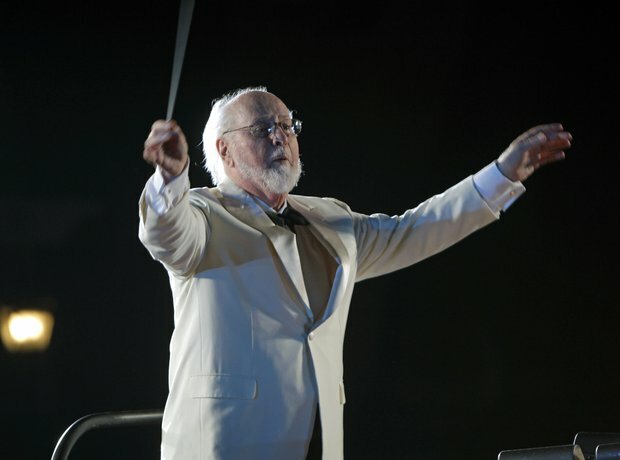 Nominated for more than 40 Oscars, and winner of five, John Williams is one of the most famous and most acclaimed composers ever. From disaster movies of the 1970s through to the present day, Williams has written thundering themes for many of the most successful films of all time - and shows no sign of slowing down in his 80s. His collaboration with Steven Spielberg has given the world not only some of its biggest box office smashes, but many of the best loved film themes ever - music that exists in its own right outside of the films as favourites in the concert hall, on record and on Classic FM. But which ten of the more than 100 film scores he has written are the best? Hollywood veteran Jerry Goldsmith was originally lined up to compose the music for Richard Donner's Superman, starring Christopher Reeve. Goldsmith was forced to drop out over scheduling conflicts, however, and John Williams stepped in, hot on the heels of his huge successes - Star Wars and Close Encounters of the Third Kind. Williams' Oscar-nominated score captures all the heroism and fun of the man of steel and the main fanfare theme has flown into the repertoire of orchestras around the world ever since. Just when you thought John Williams had run out of barn-storming, high-octane adventure themes, he cracked it yet again with the music for Harrison Ford's first outing as the fedora-wearing archeologist. Like Monty Norman's theme for James Bond, the Raiders march is now etched on our consciousness as the musical representation of a great movie hero - Indiana Jones. Williams' score for Raiders of the Lost Ark was among nine Oscar nominations for the movie. Sadly, it lost out to Vangelis' Chariots of Fire. At the height of his career and his collaboration with Steven Spielberg, John Williams produced his heart-warming soundtrack for E.T. The Extra-Terrestrial - arguably the most enchanting of all Williams' scores. The music earned him his fourth Academy Award and has remained a popular piece in the composer's live concerts ever since, evoking a magical and more innocent era at the movies. Spielberg respected Williams' contribution so much that he altered the final edit of the film to fit the music (and not the other way round as is usual). No one does awe and wonder quite like John Williams - and his main theme for Jurassic Park is no exception. You can't help but get a sense of the magnificence and sheer scale of dinosaurs from his stately music. But there's also the expected suspense and drama when everything starts to get out of control. While it never quite reaches the dizzy heights of E.T. or the bombast of Indiana Jones, Jurassic Park is technically brilliant and complements the movie's action at every level. Considered by many to be the finest film score of recent times, Schindler's List followed hot on the heels of Spielberg and Williams' collaboration on Jurassic Park - and it couldn't be more different. When he first saw the film, the composer told the director: 'You need a better composer than I am for this film.' Spielberg replied, 'I know. But they're all dead!' For the soundtrack Williams, following Spielberg's suggestion, hired the great violinist Itzhak Perlman. The film's main theme, played with such passion and emotional intensity by Perlman, is heartbreakingly simple and touching. For Schindler's List, Williams won his fifth Oscar. This true story follows Austrian mountaineer Heinrich Harrer as he trekked in Tibet between 1944 and 1951. While there, Harrier - played by Brad Pitt - is introduced to the young Dalai Lama and becomes one of his tutors. John Williams' score eschews authentic oriental elements, opting rather for an extremely romantic theme. But what a theme - given even more potency and passion by its performance on the cello by Yo-Yo Ma. For his graphic depiction of the invasion of Normandy in World War II, Steven Spielberg decided to leave the major battle scenes without music to make them more realistic. Other than a few atmospheric cues along the way, what John Williams was left with was the opportunity to provide a heart-stirring concert piece over the final credits to serve as a tribute to the soldiers who died. Hymn to the Fallen is the most memorable moment of the score and more than makes up for the absence of music elsewhere. For the first film in the Harry Potter series, there could really only be one choice for a magical musical score - the man who had written the music for almost every great fantasy film of the previous three decades. Who else but John Williams could be counted on to create another immortal theme - all swirling strings, lilting woodwind and unnerving melodic leaps? It may not be as memorable or timeless as E.T. but Williams demonstrated beyond doubt that he has lost none of his magic.